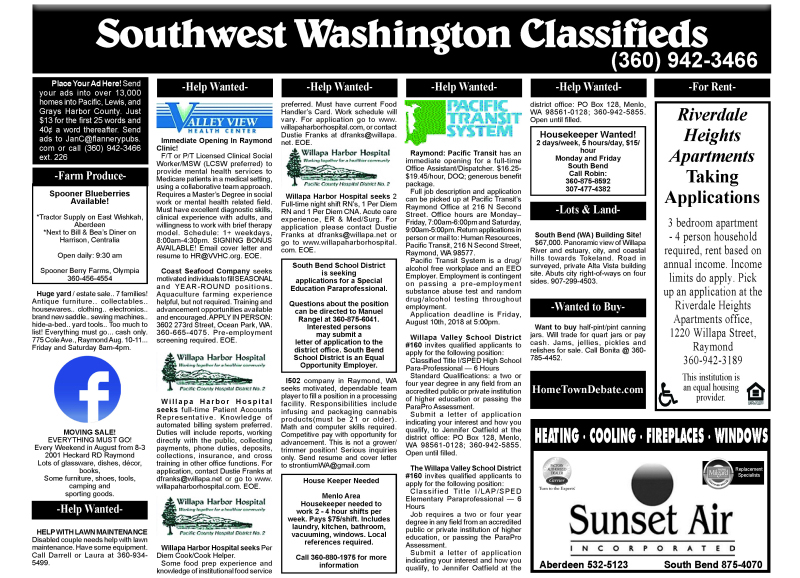 Showing 9 articles from August 9, 2018. 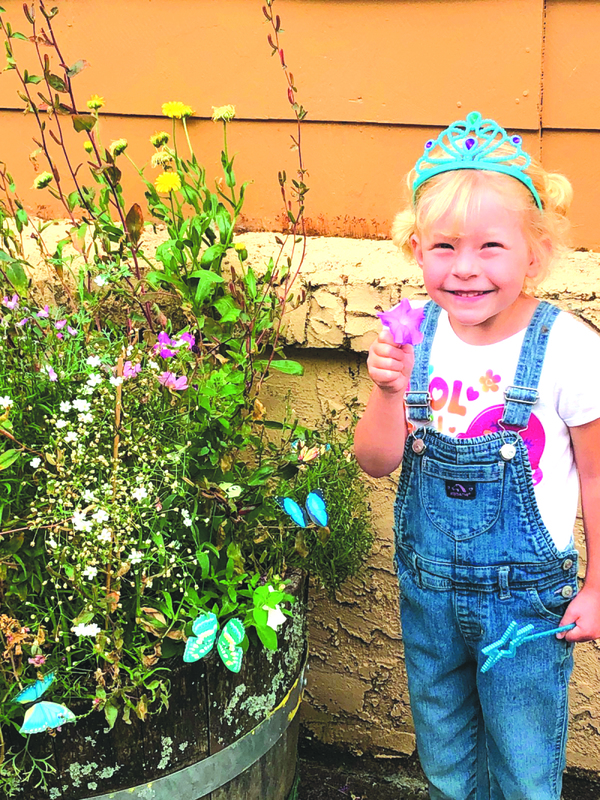 In the Spring, Astoria Graham, daughter of Shannon and Jason Graham decided to take care of the flower pot by city hall. It has been fun to watch the wild flowers grow throughout the summer and see Astoria take care of it as well. When you think of Farmers Markets, you don't realize what one has to go through to sell there. 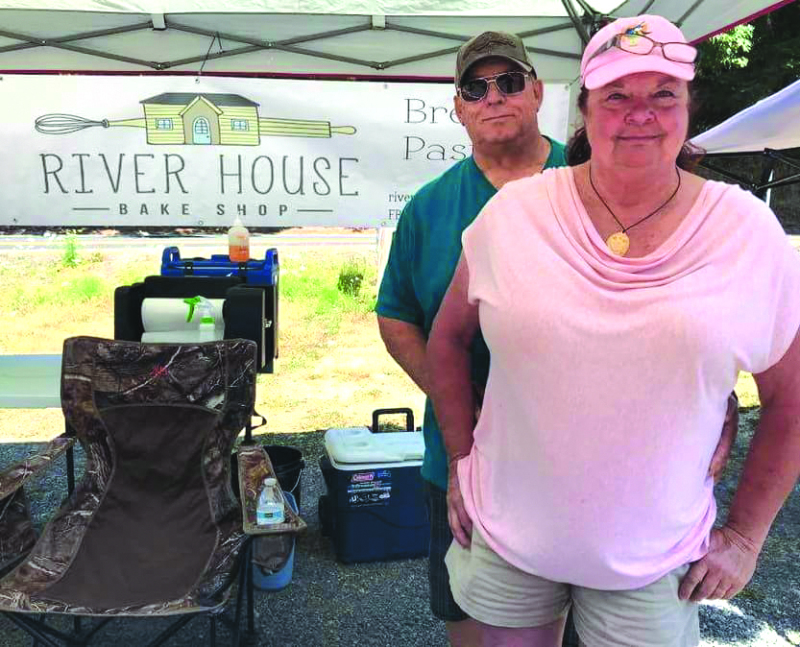 Carol and Steve Berch of River House Bake Shop in Toledo showed what it takes to go through the cottage food industry, which many markets now require. 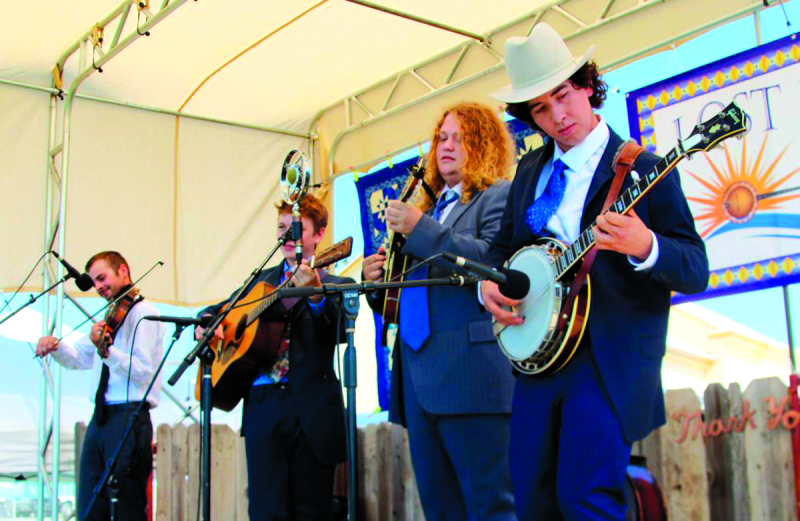 The 34th Annual Mount St. Helens Bluegrass Festival will take place this coming weekend at Toledo High School. This is an event that has been going on for so many years, that if you haven't attended you should. 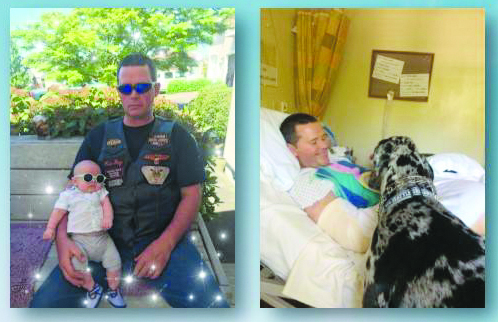 The Raymond Elks Lodge #1292 will be hosting a benefit for Chris Heintz on Saturday, August 11 at 5:00 p.m.
Photo by Jeff Clemens - Pam Nogueira Maneman drives the kiddie through the water feature of the Willapa Festival. 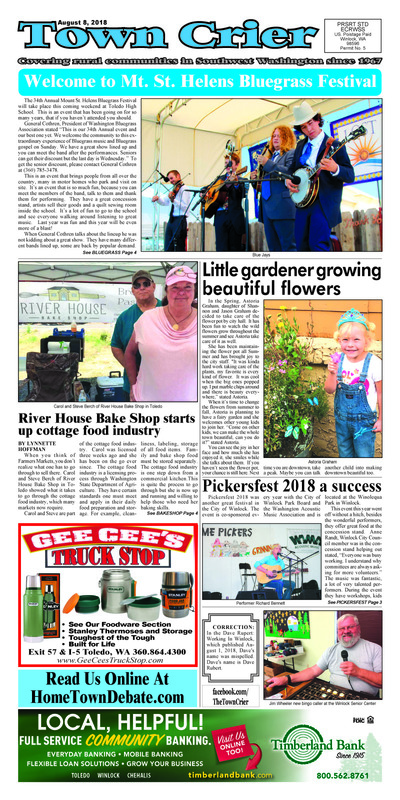 The Willapa Festival "was an awesome success," according to co-chairperson Kaley Hanson of the three-day Raymond event, which took place last Friday through Sunday primarily at Third Street Park. Michelle Layman was also a co-chair for the event. The Raymond Police Department welcomes back Officer Rikki Coma who recently completed the Washington State Police Academy and has returned to active duty with the police department. 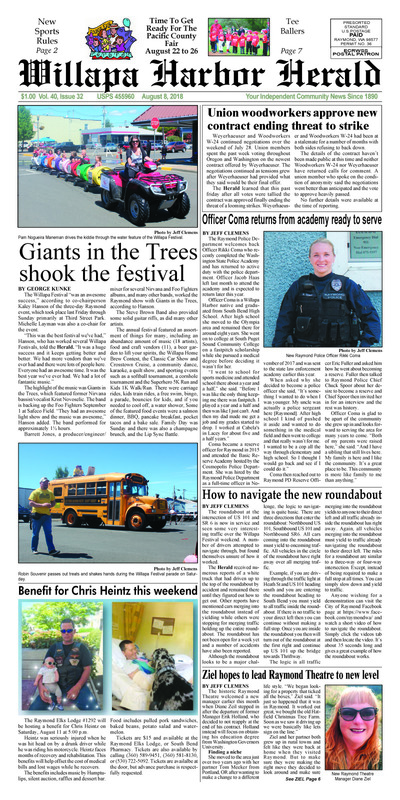 Officer Jacob Haas left last month to attend the academy and is expected to return later this year.